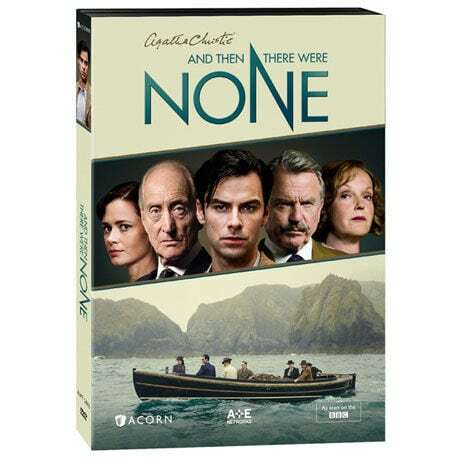 Ten strangers meet in a solitary mansion on a remote island near the Devon coast. Awaiting the arrival of their hosts, they start to die, one by one. 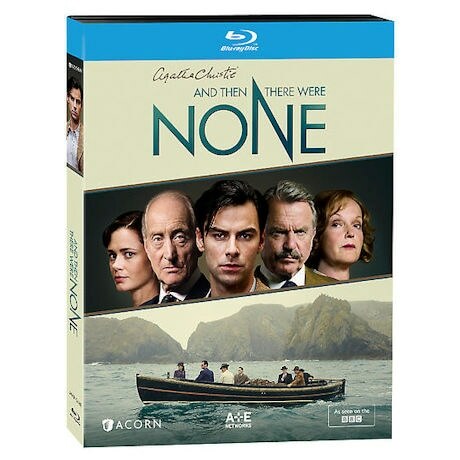 Based on the best-selling book by Agatha Christie, this lavish adaptation features an all-star cast including Aidan Turner (Poldark), Charles Dance (Game of Thrones), Toby Stephens (Vexed), Anna Maxwell Smith (The Bletchley Circle), Miranda Richardson (The Hours), and Sam Neill (Peaky Blinders). Seen on Lifetime. 3 episodes, 3 hrs, 1 DVD or Blu-ray disc, SDH. Rating: NR. Contains strong language, graphic violence, disturbing images, and sexual situations.